Although we have driven to Clark Pampanga a few times before we still overestimated the length of the journey by a wide margin. We thought it would take us 2 hours to get to Clark from Manila at normal driving speed of 90 to 100km per hour. We left Manila at 4pm to beat the traffic and arrived in Clark Freeport before 5:20pm and that included a brief stop somewhere in Bulacan. A friend lent us the use of his apartment in Clark for two nights. That means we can spend our travel budget on other things like food and drinks in Clark. First thing Joe wanted to do was to stop at a good bar in Clark. 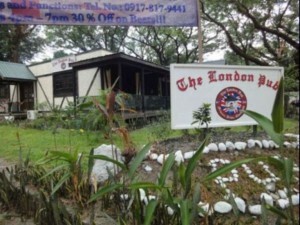 After checking out the usual bars in hotels in Clark, we went into the London Pub which is located inside Mimosa Clark, past the Holiday Inn hotel. The Holiday Inn also has a little bar in the ground floor but it didn’t look cozy and comfortable, but that’s normal for bars in hotels. The London Pub looked like a bar in England, although we have never been to England but we have seen pictures and movies that have British pubs in them. The food of this bar in Clark was surprisingly good, better than some of the famous restaurants in Manila area. Later on one of the staff explained to us that The London Pub is no ordinary bar. It is regarded as a top-end bar serving good food and wine, a class that the magazines refer to as gastropub. In fact, The London Pub is the original gastropub in the Philippines and holds the rights to this trademark. They have this special beer called Vintage Beer. We asked the bar manager, Glennda, what that means. She explained that Vintage Beers are a different class of beers. They are made to improve with age, like wine and Champagne. That’s why they are often called Champagne beers. It cost 1400 a bottle (big bottle like wine, 750ml) and there are several types. We tried an older one, dated 2004, called Edition 2004, an ale. It was really rich. At 9% alcohol which is much higher than your usual San Miguel, you don’t feel the alcohol. Instead it was smooth and rich in flavors. We were informed that these vintage beers came from the French province of Quebec in Canada. We asked if we could buy a few to bring home to Manila to share with our friends and the manager told us we could just buy them down the road the that big wine shop in Clark called Clark Wine Center. This way we can buy them at lower price because, as is always the case, prices of beer, wine and liquor must be higher in a bar than in a shop. We appreciated that advice very much. It showed us that this bar in Clark is honest and that is rare in bars and pubs in Pampanga. We ordered the Pub Burger and the Fish n Chips to go with it. Everything in this pub was great. 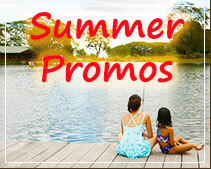 Prices are moderate, much lower than hotel prices of course. This bar in Clark Pampanga also serves all sorts of steaks from Brazilian tenderloin to Wagu Ribeye and Tenderloin as well us US Black Angus steaks too. Just across the street from the London Pub is a fine dining restaurant Yats Restaurant and Wine Lounge which is quite famous for its award winning wine list, generally regarded as the best wine list in the Philippines. We were told that we could order from the menu of that restaurant also. Next time when we come to this nice bar in Clark Pampanga, we will try doing that. By the way, the wine list of this bar in Clark is quite interesting. We ordered a bottle of the Barbaresco and it was really nice. At 2500 the price is more than fair considering that this is an upscale bar. A similar bottle in a good bar in Manila would probably cost 50% more. This is a bar in Clark Pampanga that we can recommend to our friends when they travel to Pampanga. Travelers with families can also come to this bar in Clark. This bar is totally different from the exotic bars in Angeles City. This is a real pub or you can call it a resto bar, but we prefer to call it a family restaurant and pub. The editor of HotelClarkPhilippines.com wishes to acknowledge the contribution from travelers like Elli and Joe who took the trouble to share with everyone some of their discoveries and experiences during their stay in Clark Pampanga. Although these are their comments and opinions, the information contained in them could benefit fellow travelers to Clark Philippines, especially first-time visitors staying in Pampanga Clark Freeport Zone. Thanks Elli and Joe for telling us about a good bar in Clark Pampanga.